Great for use of all ages. Designed for easy handling, containing a periods supply of medication or vitamins with easy identification of time periods. 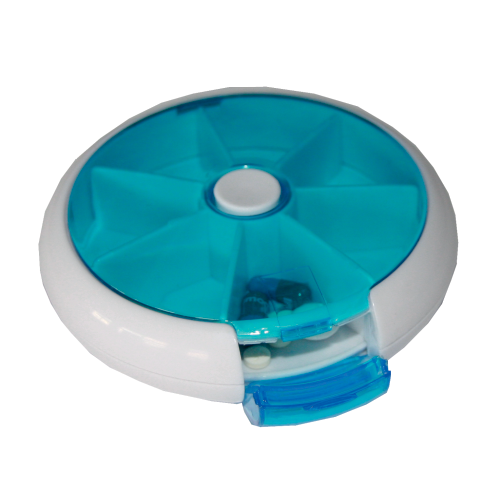 This circular pill box is ideal for any aged person and has been designed for easy handling and contains easy to identify time periods for the supply of medication or vitamins.